I have consistently argued for a philosophy of social science that emphasizes the actor and the availability of microfoundations. I argue for an actor-centered sociology. But I have lately been arguing as well for the idea that it is legitimate for social scientists to treat claims about the causal properties of meso-level social structures as being relatively autonomous from their microfoundations. This approach doesn’t satisfy all comers. Some don’t like meso-level causal properties at all, and others don’t like the idea that meso-level properties are in any way dependent on the level of individuals and their actions and agency. In particular, some readers would prefer a meso-autonomist strategy that dispenses with individuals altogether; one according to which we can identify certain causal factors that do not need microfoundations at the level of the individual at all. Candidates for such factors often fall under the large umbrella of culture: symbols, meanings, practices, rituals, traditions, grammars, and the like. I would say, however, that these items too require microfoundations. Cultural items are sometimes thought to be supra-individual and independent from the concrete individuals who live within their scope. And it is true that culture exercises a specific kind of independence. But no less than any other social characteristic can cultural features evade their embodiment in individual actors and institutions. If we take the view that the obligations of zakat (charity) are a profound part of Muslim identity and that this element of Islam explains certain social outcomes, then I want to know how these elements of identity are conveyed to children and practitioners at the local level. What are the concrete social mechanisms of inculcation and communication through which a Bangladeshi child comes to internalize a full Muslim identity, including adherence to the norms of zakat? 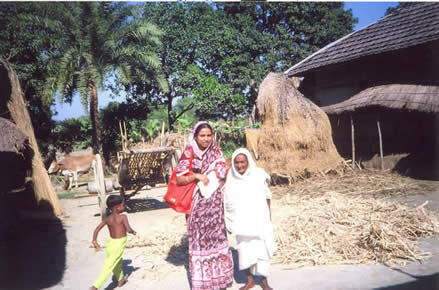 To what extent are there important differences within Bangladeshi society in the forms of identity present in Muslims — urban-rural, male-female, rich-poor? And equally interestingly – in what ways do those processes give rise to a Muslim identity in Bangladesh that is somewhat different from that in Indonesia, Morocco, or Saudi Arabia? Identities, cultures, and systems of meaning are no less embodied in the states of mind of actors than are the calculating features of rationality that underlie a market society. So the fault of methodological individualists in this sphere is not that they fail to recognize the inherent autonomy of systems of cultural meaning; it is rather that they adhere to a theory of the actor that does not give sufficient attention to the variations and contingencies that characterize actors in various social and historical contexts. Ideas about the independence of cultural items from the level of individuals are suggestive and interesting, and I think they need to be fully confronted by an actor-centered sociology. But I do not believe they are incompatible with an actor-centered sociology. Take the independence of a code of behavior from the specific individuals who are subject to the code. It is true that one individual cannot influence the code, which is embodied in the thoughts and actions of countless others. But the reality of the code at any given time is in fact entirely dependent on those thoughts and actions (and artifacts created by previous actors). Moreover, the individual’s embodiment of the code of behavior is in turn caused by a series of interactions through childhood and adulthood within a social setting. It is certainly true that facts about culture make a difference in meso- and macro-level outcomes. A collective farm that was populated by actors who embodied Chairman Mao’s ideal of “socialist man” would have functioning characteristics very different from those observed — no “easy riders,” lots of earnest Stakhanovites. So standard organizational analysis of the tendencies towards low productivity in collective agriculture is dependent on something like a purposive agent theory of the actor. Different kinds of actors give rise to different kinds of organizations. This does not mean, however, that we could not have reasonably good understandings of “organizations” under differently realized structures of agency. This seems to be part of the work that Andreas Glaeser (2011) is doing in Political Epistemics: The Secret Police, the Opposition, and the End of East German Socialism . Glaeser tries to understand how organizations like the Stasi functioned in a setting in which participants’ understandings and motivations were changing rapidly. So my answer to my own question is, yes. Cultural entities and characteristics do require microfoundations, and it is in fact a fruitful avenue of sociological and ethnographic investigation to discover the concrete social mechanisms and pathways through which these entities come to be embodied in various populations in the ways that they are.